i>clicker allows students to instantly provide feedback and answer questions posed by their instructors. Each student uses a “clicker,” a portable, handheld device, which allows students to vote by clicking on the appropriate button for his or her choice. 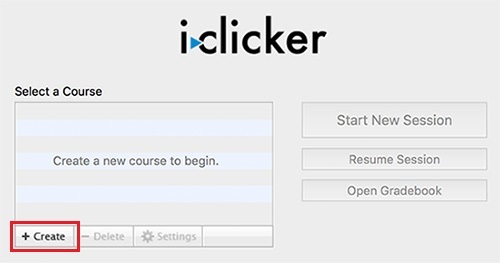 i>clicker’s software stores the data for each student’s i>clicker response, and the instructor can display results in a graph, or refer to them later for analysis or grading. Click here to download your i>clicker software. Note: Don't download the software from iclicker.com. The UIUC version of the software includes important connections to Learn@Illinois. Also, be sure to download the most recent version of the software and stick with the same version for the duration of the course. 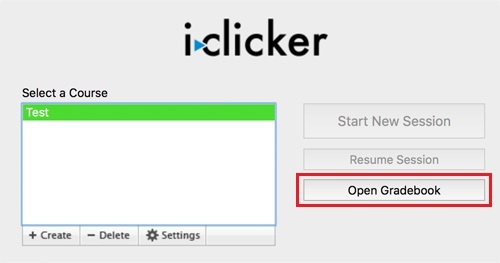 Navigate to the folder on your computer where you downloaded i>clicker and unzip it. Go to the “Mac” folder if you are using a Mac, and the “Win” folder if you are using a PC. To launch the software, double click the iclicker file in Mac OS or iclicker.exe in Windows. Click the + Create button to create a new course in i>clicker and enter the name of your course. Click the Gradebook tab at the top and select Learn@Illinois from the LMS Name drop-down menu. 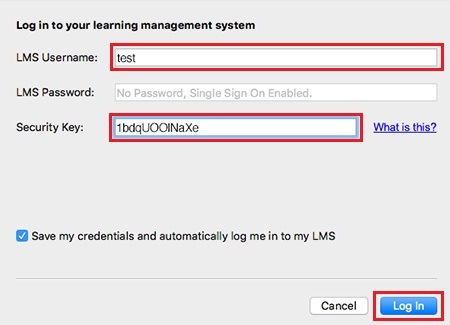 Type your NetID into the “LMS Username” text box. Paste your single sign-on security key into the “Security Key" field and click the Log In button. A list of courses you have available will appear. Select the course you want to connect to i>clicker and click the Select button. The name of the course will now appear in the "Course Settings" window. Note: In order for your course to appear in the list, it must be active and visible. You must also have the role of Teacher within the course. Click the Open Gradebook button. Click the Sync Roster button at the top. Once i>clicker syncs with your course, you will see a list of your enrolled students. Students with registered i>clickers will be in blue, students who have not registered i>clickers will be in Red. 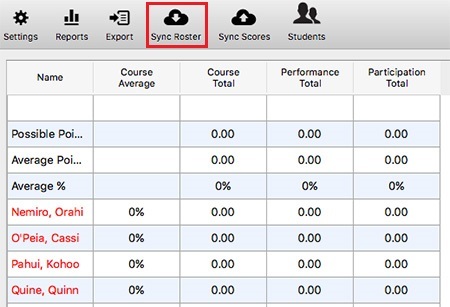 Click the Sync Scores button to push scores from i>clicker to your course site Gradebook. 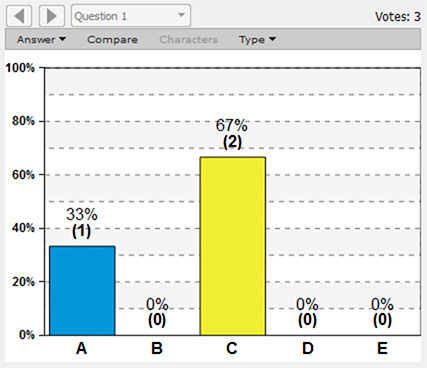 i>clicker scores can be found in the category i>clicker polling scores. Note: Do not rename or otherwise reorganize the category or grade items created by i>clicker. If you change an i>clicker grade in your course site Gradebook and then sync scores from i>clicker, i>clicker will change those scores back. Also, if you delete a session in i>clicker, it will not be deleted in your course Gradebook. You must delete that grade item manually on your course site. 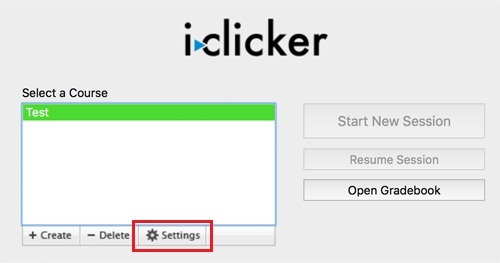 A student must register their i>clicker in Moodle in order to associate the i>clicker with their NetID. Registration in Moodle will be valid for all Moodle courses that use i>clicker. Direct students to the i>clicker block on your course page and have them click on Student Registration. Tell students to type the code from the back of their remote into the "Enter Your i>clicker Remote ID:" text box and click the Register button. To see which students haven’t yet registered and/or remote IDs that have not yet been registered, open the Gradebook in the i>clicker software and click the Students button at the top. Note: If a student uses their i>clicker before registering it, they will still get credit for those sessions as long as they register the same remote they've been using.